Own three historic first-year coins for under $100! As the Civil War raged, inflation and uncertainty caused serious coin shortages – and precious metal coins were hoarded by citizens in both the North and South. The U.S. Mint responded by producing three new coins – and for the first time in U.S. history, three coins would add up to six cents! These unusual U.S. Cents disappeared from American coinage more than 100 years ago – and many people aren’t even aware that they ever existed! But you can still own ALL THREE of these genuine first-year Civil War-era coins! 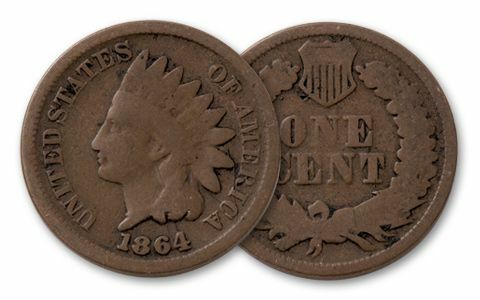 1864 Indian Head Cent: One of America’s classic coins, the U.S. Mint struck this coin in Bronze for the first time 150 years ago – and continued to produce it for another 45 more years. 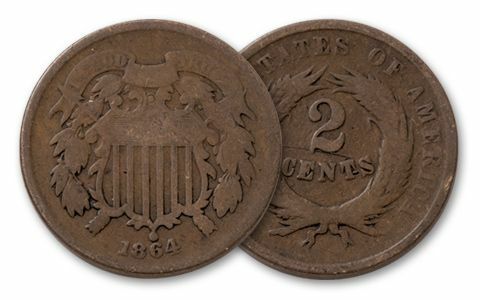 1864 Two Cent Piece: Coveted by collectors as the first U.S. coin to include the motto IN GOD WE TRUST, this short-lived coin was only issued for 10 years. 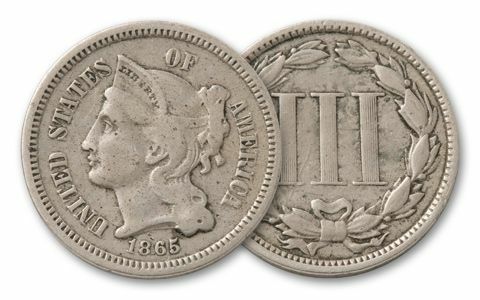 1865 Three Cent Piece: This long-gone denomination was released as an easy way to purchase postage stamps – which cost just three cents at the time! During its historic first year, Lee surrendered to Grant and President Lincoln was assassinated. Each of these authentic, first-year U.S. Cents hasn’t been struck in more than a century. Not many were minted to begin with – and "firsts" are ALWAYS coveted in any coin series. So it’s no surprise that they’re hard to find now! They were ordinary in their day. But each represents an extraordinary time in American history – and you can still own all three for less than $100! 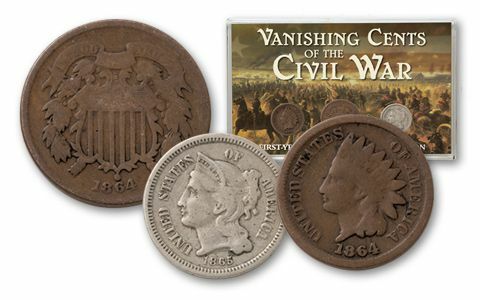 Today, most vintage Civil War-era collectible coins command premium prices. But for under $100, you can own three first-year issue U.S. Cents that were actually minted in 1864 and 1865. Try finding any other genuine Civil War artifact for that price! 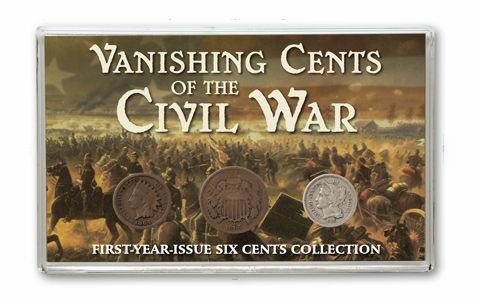 Just don’t wait – as we mark the 150th Anniversary of the Civil War, these three-coin collections are vanishing fast! Order your set now!